Sinefungin is a nucleoside S-adenosyl-1-methionine analog. 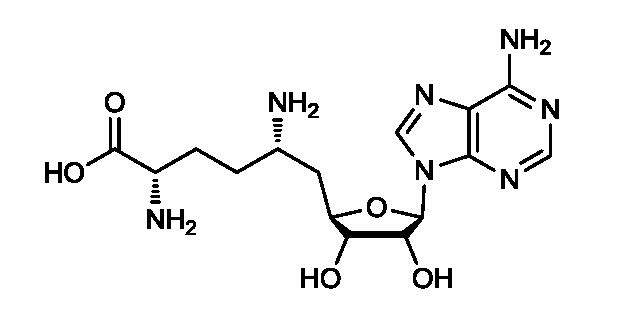 Potent, competitive methyltransferase (protein, DNA, and RNA methyltransferases) inhibitor. Binds with greater affinity to the adenine-specific DNA methyltransferase M.Taql than S-adenosyl-L-homocysteine. Inhibits biofilm formation by Streptococcus pneumoniae.